Lon Warneke was a fireball pitcher out of Arkansas who pitched his way onto five All-Star teams and won three pennants with the Cubs in 1932, 1935 and 1945. In between stints in Chicago, Warneke was a colorful member of the Gashouse Gang St. Louis Cardinals where his banjo strummin’ made him a valued member of the team’s “Mississippi Mudcats” band. In 1939 Warneke was on his way to a fine 13-7 season for the Cards when he was voted onto his fourth All-Star team. Unlike today when everyone gets to play in the Midsummer Classic, back in '39 both the AL and NL teams stuck with just three pitchers each during the game, so Warneke did not get to take the mound this time around. 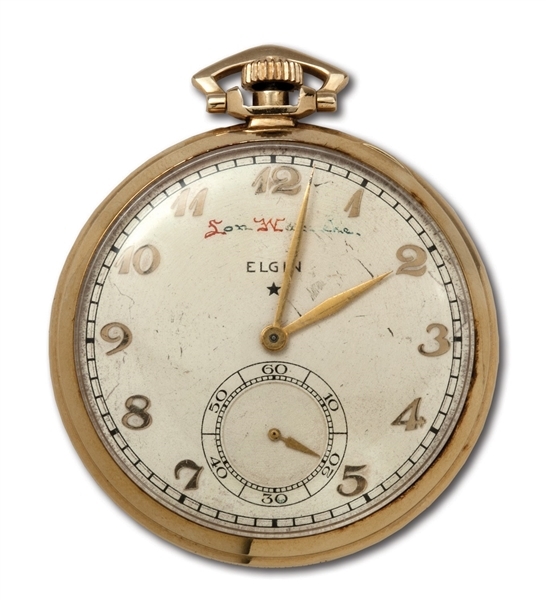 To mark his selection as the best of the best for 1939, Warneke was presented with this Elgin 14-karat gold pocket watch. The watch face has been customized with “Lon Warneke” in calligraphic script below the “12” and “LON WARNEKE ALL-STAR 1939” engraved on the back. The case and crystal have the expected scuffs and abrasions from frequent use and aging. Some of the calligraphy on Warneke’s name on the face has worn away, but the name is still completely legible. The watch was not received by us in working order, though a watchmaker should be able to fix it. 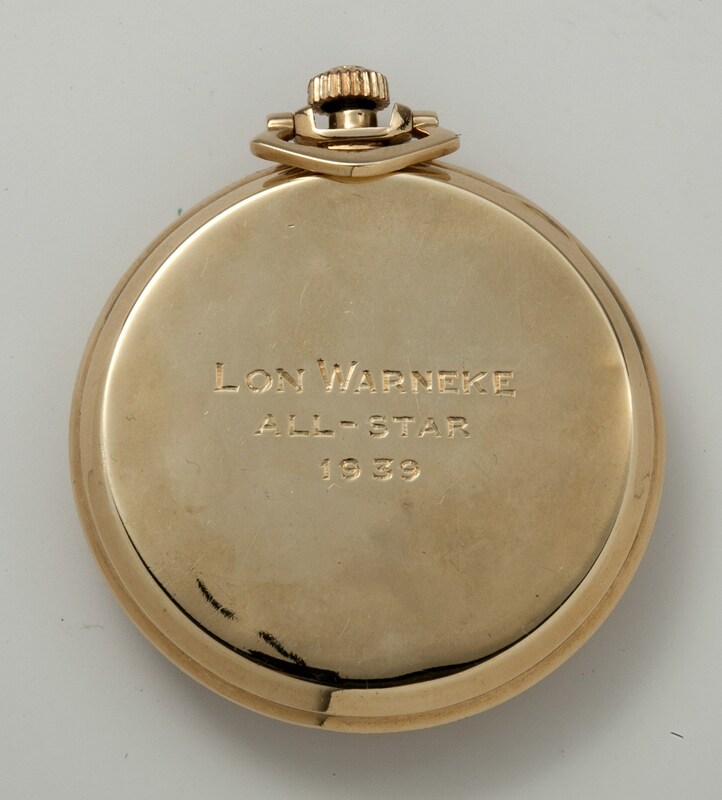 Since this keepsake was only issued to players selected for the 1939 All-Star Game and there were only 50 players total, this is a very scarce presentation piece indeed.